Traditionally, the practice of Yoga was designed to move or position the body in a specific way to draw your attention inward and to strengthen the body to support a deep meditation practice. Mudras are a powerful component of the Yoga tradition and aid in accomplishing inner awareness and exploration. Based on yogic science, the human body is made up of five basic elements and the five fingers of the hand are connected to these elements in the body. When we practice a mudra, yoga poses for the hands, we are activating these elements of the body as well as energy centers. There are over 100 known mudras throughout the centuries. At Emaya we like to add mudras with mantra to our daily practice to cultivate a deeper sense of inner reflection, connection and presence. Below you will find our 4 favorite mudra and mantra combinations to cultivate peace and presence that you can practice separately or include in your daily meditation practice. Cheers to a peaceful and present New Year! This mantra is used to improve intuition, alertness, and enhance your senses. It can also balance your emotions and thoughts. To practice this mudra, touch the tip of the middle finger to the thumb tip, while keeping the other three fingers straight and relaxed. I trust myself and the universe completely. This mudra is a popular one and named after the Hindu Ganesh, who is believed to be a remover of obstacles. This mudra holds the intention of removing obstacles in your life and inspire positivity and courage when navigating challenging times. 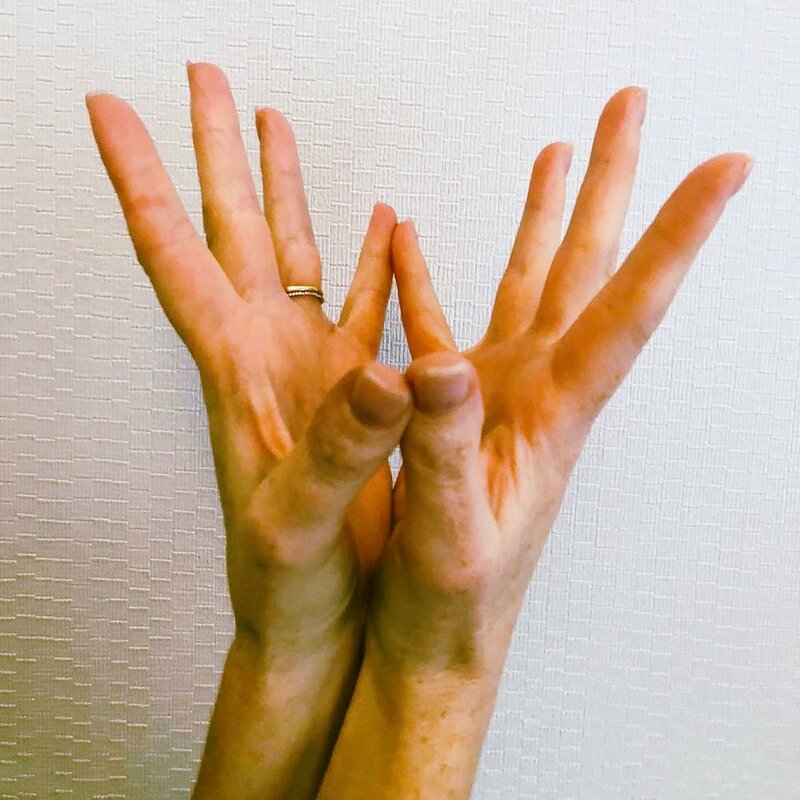 This mudra connects and invigorates the heart center and invites in love, peace, courage and compassion for self, others and the world. Place your left hand in front of your chest with your palm facing outward and left thumb down. Then, place your right hand in front of your left with your right palm facing toward you and your left palm. Link your fingers together, holding them in a half-bent position with hands pulling outwards. This mudra is often known as the meditation mudra as it is common to use this mudra to deepen meditation. This mudra can also create peace and a grounded or connected energy within. To practice this mudra, place your right hand in your lap with your palm facing up and then place your left hand on top of your right. Bring your thumbs to touch above your palms. This mantra is a beautiful one that expresses and honors the beauty, love and purity that surrounds us and that is within each of us. This mantra reminds us that we are always blossoming even during life’s challenges and dark moments.flower reminds me to be open, blossoming and full of possibilities. 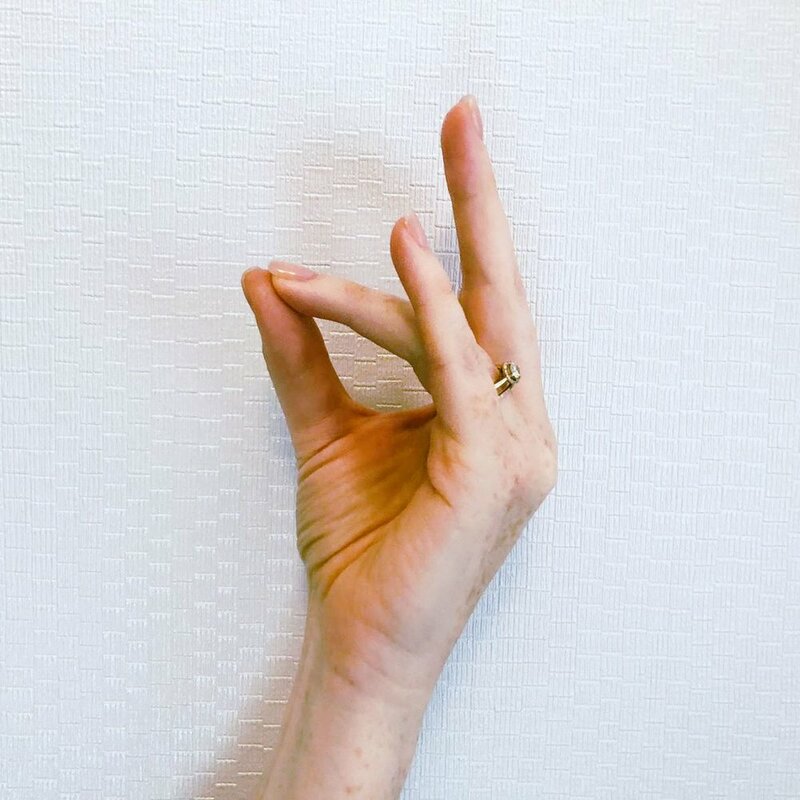 To practice this mudra, bring the fingertips of both hands to touch. Then, gently press into the fingertips to create space between the palms of both hands and stretch your fingertips to expand and blossom the lotus flower you are creating with your hands. I am perfect just as I am. Give these a try during the holidays for some extra peace presence and love!